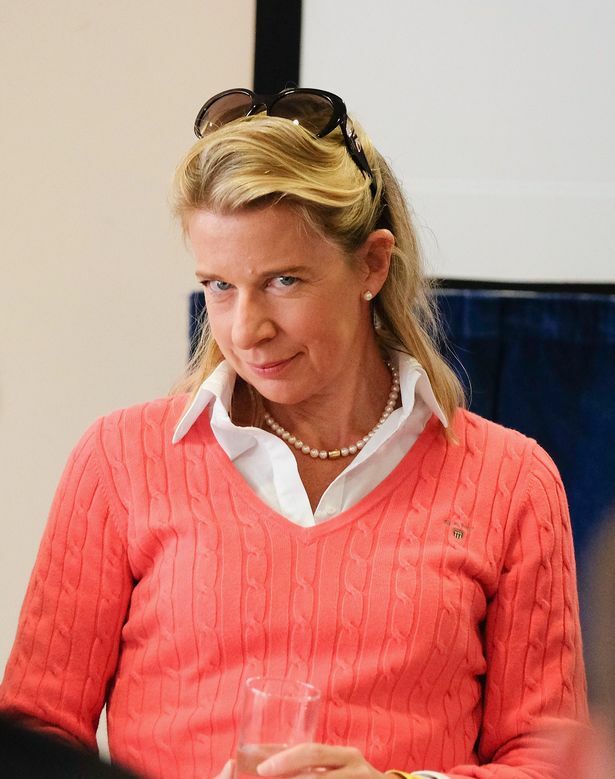 Katie Hopkins has come under fire yet again – but this time she shared claims arsonists were to blame for the Notre Dame fire. 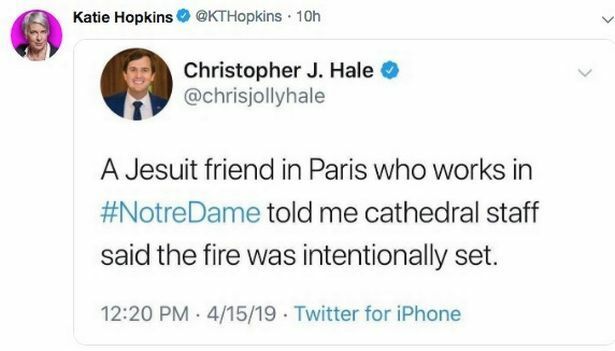 The outspoken broadcaster from Exeter took to social media to share a now-deleted tweet from Fox News contributor Christopher J Hale, that claimed he had heard a rumour that the fire had been ‘intentionally set’, reports the Daily Mirror. But Twitter users have since mocked her for sharing the third-hand piece of gossip, especially as authorities investigating the blaze had already ruled out arson or any possible terror-related motives. Katie also shared an article referring to a spate of reports that Catholic churches had been vandalised across France, appearing to link the two.